The client is a multinational luxury automotive company that owns and has shares in several car, bus, truck, and motorcycle brands, with a notable presence in car manufacturing and truck manufacturing. This client is one of the largest car and truck manufacturers in the world, with well over 3 million vehicle sold in 2017. This client hosts an annual accelerator program where startups can acquire investors, reach a significant customer base, and have the opportunity to apply their ideas to real-life challenges. One of the highlights of the program is a “sharktank” event where judges (“sharks”) and audiences can watch and vote on the startups as they pitch. 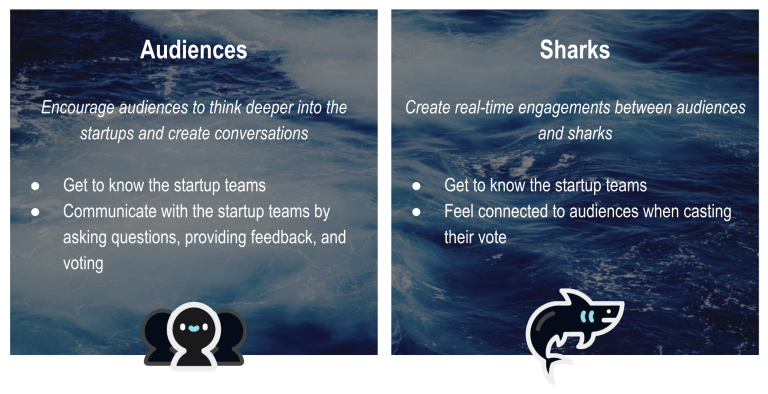 For this sharktank event, the client was looking for a way to create more meaningful interactions between the startups, sharks, and audience and to digitize the voting process. 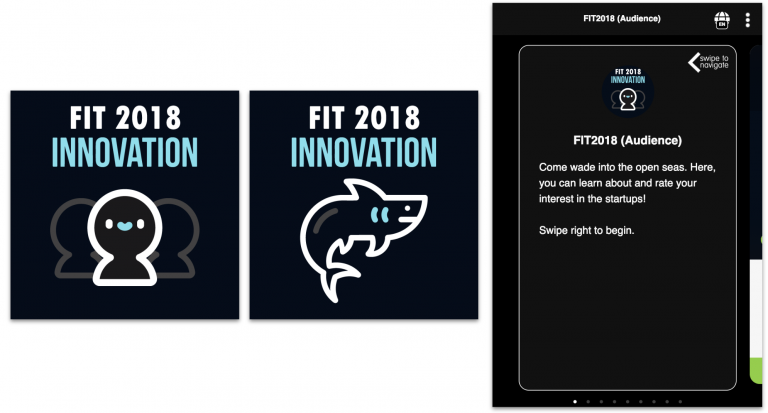 Two separate games were launched, FIT2018 (Shark) and FIT2018 (Audience) which both Sharks and audience accessed respectively through a link in the client’s own events app. Sharks were provided a passcode to log in, while audiences could log in simply by keying in their email. Startup teams were given 3-5 mins to pitch their proposition ideas and then an additional 2-3 minutes to field questions from the sharks. As they were pitching, sharks and audiences could cast their votes on each startup via Prediction Challenges. After all the startups were done with their pitching, votes were then tabulated and the “winning” option was set based on the audience’s popular vote. FIT2018 saw 2,259 completions by 177 audience members and 6 sharks over a 1-hour period, resulting in an overall engagement rate of 86%. The tally of these votes allowed the startups to have a better understanding on what the general public might feel about their product and company – for example, how much consumers would be willing to pay, whether the product was viable, and if there was opportunity for investment. With this knowledge, startups were also able to understand more about their customer base. Through Gametize, a seamless voting system was implemented in real-time using prediction challenges. 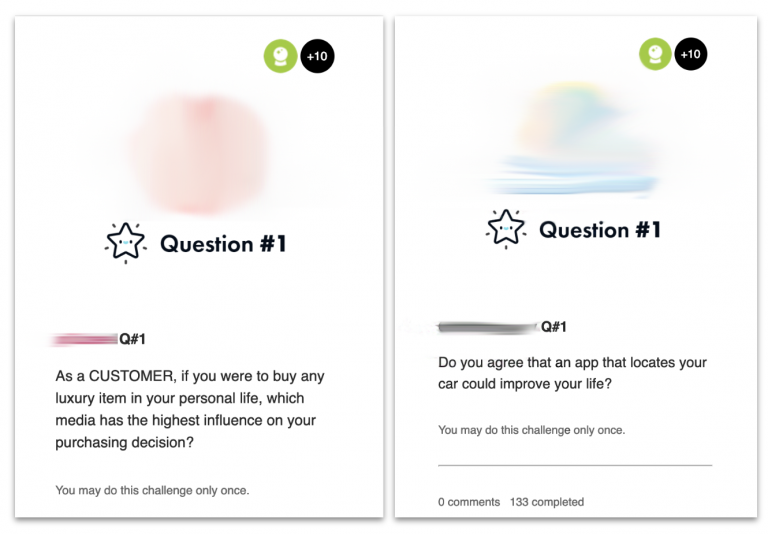 Prediction challenges enabled the client to gamify the voting process of the Shark Tank event, creating meaningful connections between the judges, audiences and startups alike. With voting made easy, lesser time was needed to tabulate the scores and set the “winning options” – gamifying the voting process!